T-Shirt: Perfect to wear outside of school hours. This super soft baby tee features Jeweled Lettering. Crew neck collar. Short sleeves. Trim at collar. 100% Cotton. Machine wash cold, tumble dry low. Made In Vietnam. 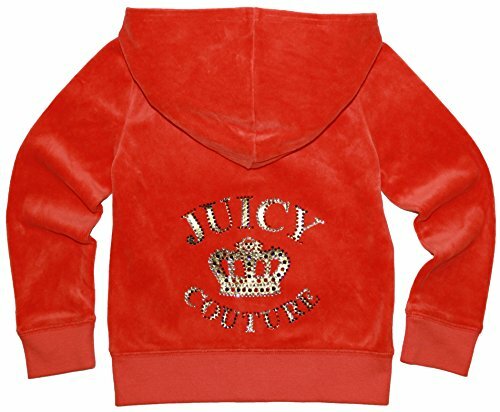 Hoodie: Celebrate fashion in a fun way with a signature velour hoodie featuring a Jewled Letter and crown logo. Hooded collar. Long sleeves. Front pouch pocket. Zipper front with J-pull. 78% cotton, 22% polyester Machine wash cold, tumble dry low. Made In Vietnam.